Northern Ireland Secretary Karen Bradley does not have a “deep appreciation” of Irish politics, the leader of Sinn Fein has claimed. Prominent Conservative Brexiteer Mark Francois has called for a vote this week to allow Tory MPs to demonstrate they have “lost faith” in Theresa May’s leadership. Speedboat killer Jack Shepherd is expected to be brought before the Old Bailey on Thursday, after 10 months on the run. 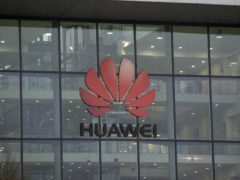 A GCHQ chief has suggested Huawei equipment could be banned from Westminster and other sensitive areas over concerns about “shoddy” security in the Chinese firm’s products. The Home Office has apologised after making a data protection blunder when circulating information about the Government’s Windrush compensation scheme. Being watched while we eat, or watching someone else work through their dinner, is something most of us would feel pretty uncomfortable about. Labour needs to act more swiftly in expelling its anti-Semitic members, the Mayor of London has said. Theresa May is to make a whistle-stop trip to Berlin and Paris for last-minute talks with Angela Merkel and Emmanuel Macron on the eve of a summit which will determine the future of Brexit.